When you are at an Issey Miyake show, you would definitely not expect extremely tight and fitted outfits to pass by on the IM catwalk. Why? Because the brand remains loyal to its heritage and signature DNA. This year the collection was headlined as “Feeling the Wind.” Since men are like the wind in the 21st century, running from one place to another and multitasking when they are awake (and sometimes asleep). Issey Miyake wants to present clothes that fit into the active lifestyle of the modern person, it’s all about freedom after all. 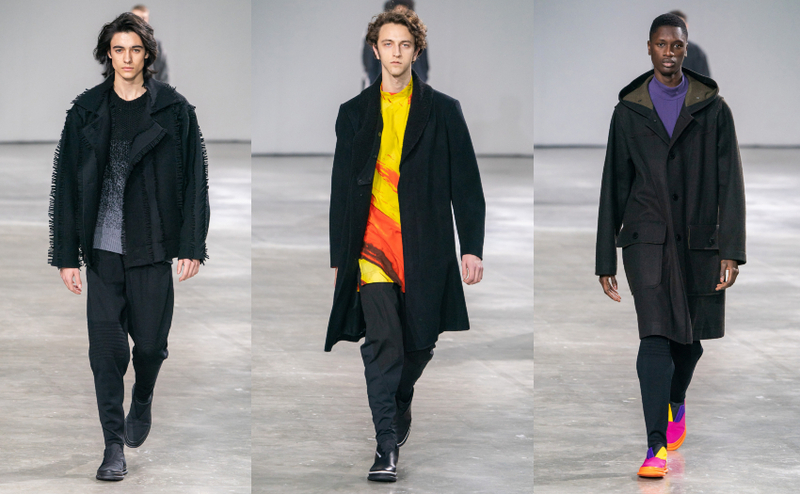 Light, dark colored – with the occasional poppy hues – and very comfortable looking coats, pants and pullovers, with distinguished dyeing and weaving, was what Yusuke Takahashi had in mind for Fall/Winter 2019.